The recent market downturn has taken Amazon (NASDAQ:AMZN) stock about 15% below its 52-week high. After the market swoon exposed many of the risks of Amazon stock, many investors have sold the name in recent days. If this selloff continues, more owners of AMZN will have to ask themselves if the success of this e-commerce and cloud-computing giant justifies the equity’s high valuation. Admittedly, the lower price of AMZN gives Amazon’s profits the chance to catch up with AMZN stock. The forward price-earnings (PE) ratio of Amazon stock has fallen to about 70. Analysts expect Amazon’s profit to grow at an average annual rate of 56.8% per year over the next five years. Based on that forecast, the price-earnings-growth, or PEG ratio, of Amazon stock is about 1.2. Amazon’s management has also made many fortuitous strategic decisions. Amazon created an online business that could have belonged to the almost-bankrupt Sears Holdings (NASDAQ:SHLD) if it had moved its catalog business online. Amazon also had the foresight to launch Amazon Web Services. The cloud-computing division now generates the majority of Amazon’s profits. Further, AMZN has become so adept at selling advertising that many see it as a threat to the ad business of Alphabet (NASDAQ:GOOGL, NASDAQ:GOOG). Still, as many readers know, I have taken a contrarian view on AMZN stock for a long time. In many respects, the recent selloff has shown why I do not like Amazon stock, whose valuation has become excessive. Despite this valuation, it has also become one of the most heavily-owned stocks. I believe that both factors could become the stock’s undoing. Meanwhile, Amazon’s profits may not grow as quickly as expected if the economy weakens. A company of Amazon’s size probably would not be able to increase its profits by more than 50% annually unless the economy is prosperous. AMZN stock has also become a heavily-owned equity. Amazon stock is identified by 127 ETFs as one of their top 15 holdings. Several mutual funds also have made AMZN one of their top holdings. When a stock is heavily-owned, its selloffs can be quite steep because investors could look to sell millions of shares at the same time. If relatively few investors want to buy the stock, the share price has to come down—sometimes way down—to entice investors to buy shares. Although it’s impossible to know how AMZN stock will perform, given the stock’s risk/reward ratio, I recommend staying away from it. The high risks of Amazon stock have been exposed during the market’s recent downturn. Although Amazon has obviously been very successful, AMZN has maintained a high valuation for some time. With the market weakening, many of the assumptions that underpin Amazon’s multiple are now being called into question. Despite the fact that Amazon’s forward price-earnings ratio has fallen to 68, the equity still seems priced for perfection. If Amazon stumbles, the selloff of AMZN stock that is already occurring could intensify. The high level of ownership of the stock could cause the selloff to become quite intense. Other stocks are less risky than Amazon stock and much more likely than AMZN to generate outsized returns. Given the risk/return ratio of AMZN, I do not think its valuation has fallen enough to justify buying the shares at these levels. 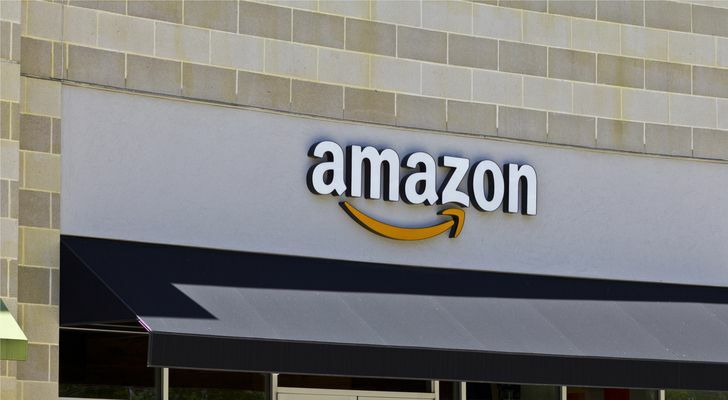 Article printed from InvestorPlace Media, https://investorplace.com/2018/10/dont-selloff-amazon-stock-opportunity/.